If you’re looking for a septic professional in the Lakeland area who can take care of the septic tank pumping process for you, turn to us. Although septic systems require relatively little maintenance, one part of maintaining your septic system that you should never put off is septic tank pumping. When your septic tank is pumped, the solid waste that settles at the bottom of your tank is removed, ensuring that your tank doesn’t get filled to capacity. If your tank does reach its capacity, you’ll end up with a very messy and unpleasant situation that could damage your landscaping, cause clogs in your indoor drains, and even lead to major damage within your home. It is recommended that your septic tank is pumped every 3-5 years. If you’re looking for a septic professional in the Lakeland, Florida area who can take care of the septic tank pumping process for you, turn to us at Averett Septic Tank Co Inc. for reliable and affordable septic services. We take care of a variety of septic services, including septic tank pumping, for our clients. Our technicians have the experience needed and the equipment required to properly pump out septic tanks of all sizes. We’ll come with a truck to remove the solid waste, which we will then dispose of safely. While there is no way to prevent the sludge layer from building up in your septic tank, keeping up with regular septic pumping can make sure it doesn’t become overloaded and keep the waste at a manageable level. In a commercial setting, another risk of failure to keep up with septic pumping is an increase in the grease levels. This is especially problematic in restaurants or other food-based businesses, as the water rinsed down the drains tends to contain more grease, which can build up in the tank and cause issues with backup and other concerns. The last thing you want to worry about is having to shut down your business because your facility has a septic backup. It’s also important to keep up with other septic maintenance tasks, such as septic inspections. At Averett Septic Tank Co Inc., we can take care of the inspection at the same time we provide your septic pumping service, keeping everything within your system in good condition. During the inspection process, we’ll also determine when your tank needs to be pumped. You don’t have to worry about keeping up with a timeline or tracking a certain number of years. Instead, we can set you up on a recurring inspection schedule and take care of the septic tank pumping as often as it is needed. We want your stinkin’ business! 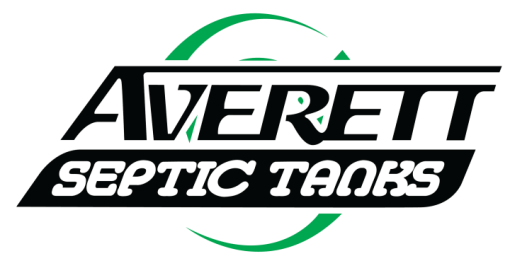 Call us at Averett Septic Tank Co Inc. for septic pumping. Our team members provide septic pumping services for both commercial and residential property owners in Lakeland. We want your stinkin’ business, so call us at Averett Septic Tank Co Inc. for septic tank pumping services. At Averett Septic Tank Co Inc., we offer septic tank pumping services in Lakeland, Winter Haven, Auburndale, Bartow, Polk City, Plant City, Haines City, Mulberry, Polk County, and Eastern Hillsborough County, Florida.